This convertible tablet comes with a 12.3-inch high-resolution IPS display and an Intel Apollo Lake processor, next to 6 GB RAM and 128 GB internal storage, all for around $290 USD in China and about $360 USD internationally. 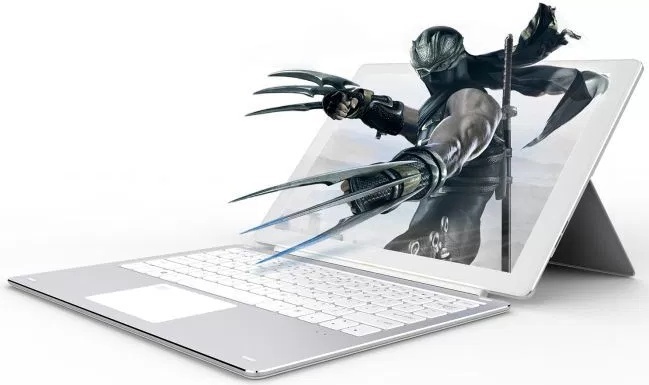 Since the Surface Pro 4 tablet can be quite expensive in some markets, Chinese brand Cube has decided to offer a low-cost competitor that uses a similar display but has lower specs overall when compared to Microsoft's well-known piece of hardware. The name of this product is Cube iWork 3X, and it comes with Windows 10 Home on board. Powered by the Intel Celeron N3450 processor, the Cube iWork 3X is a convertible tablet that has 6 GB DDR3 memory and 128 GB internal storage (SSD, not eMMC - an attractive choice given the price), its 12.3-inch multitouch IPS display offering a 3:2 aspect ration and a resolution of 2,736X1,824 pixels. It also features a microSD slot, HDMI support, USB Type-C, and a 2 MP front camera. At last, the battery has 8,500 mAh, measuring 11.8X7.1X0.4 inches in size and weighing about 1.6 pounds. Cube iWork 3X is expected to retail as a tablet, the optional keyboard and kickstand not being included in the base package. The launch date is not public yet, but we know that Chinese customers should get it for around $290 USD, while international orders will not come that cheap. We will get back to it once it launches, so stay tuned.